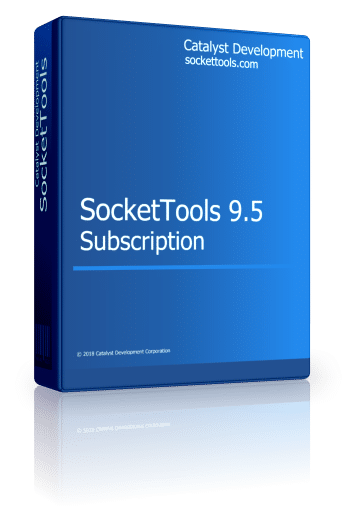 The SocketTools 9.5 Subscription includes .NET classes, ActiveX controls (OCXs) and libraries (DLLs). Technical reference documentation and examples are included, with free product upgrades and priority technical support. Please enter the serial number of the subscription that you are renewing. The serial number is required to complete this order.